Thread: Livestock??? Cant decide !!! I am getting a bit bored with my Apisto Panduro and want to consider a new direction with regards to stock. I prefer something that will breed some what. I thought maybe a different Apisto or possibly Rams. I would love some checker boards but I doubt I could find any. I always regretted not persevering with my Bumblebee Gobies. Always wanted to try Dario Dario. Or should I just go back to keeping Discus?? Or maybe a shrimp tank with some Galaxies? Or maybe get 10 more tanks !!!!! If you can get 10 more tanks, then you can almost keep and breed most fish/shrimps. 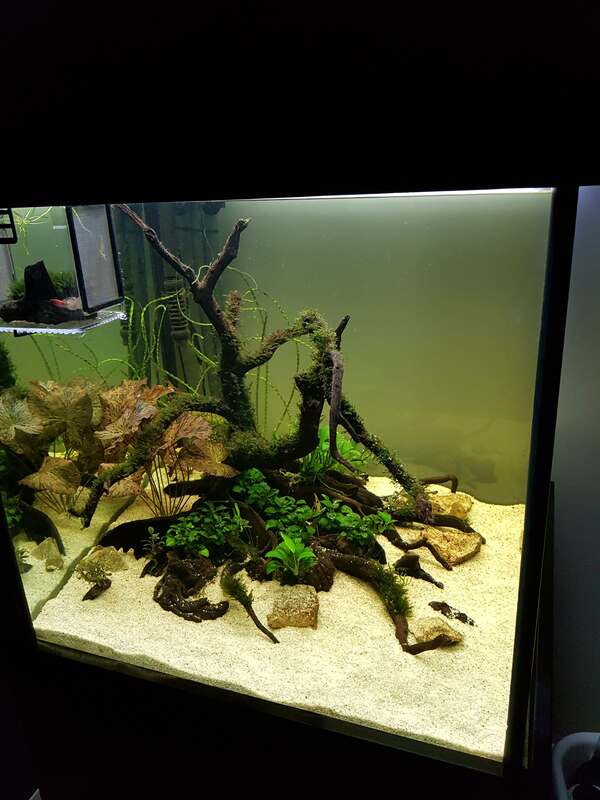 If you are planning on only keeping your 2ft cube, then I suggest to keep fish and not breed them since generally speaking you will not have the space to grow out healthy fry, and you wouldn't want to off load stunted fry back into the hobby. If you can find Dario Dario... let me know. I have been looking for them for years. So yeah... I vote 10 more tanks! 2ft Cube is plenty of space to breed Apisto's. I dont plan on raising hundreds of fish. One tank is enough to look after. Have you kept Shell Dwellers before? Yes. They were OK but didn't hold my attention for too long. Maybe some dwarf cories too. Maybe put up a list of what youve tried and what you are not keen on. Will make it easier for the peeps. I would go borelli, dwarf cories and white clouds. 3 peaceful interesting fish species. channoides and albimarginata are really quite sociable, but fascinating to watch when they spar. The one that got away? You and me both! Last edited by Grubs; 14-08-18 at 10:02 PM. All times are GMT +8. The time now is 05:36 AM.